Know Thy Neighbour is a series of Perth-based temporary public art projects presented by International Art Space (IAS). Know Thy Neighbour complements IAS’s core spaced program and is based on the same curatorial principles, encompassing artistic practices that are context-responsive and intervene in the fabric of everyday life. However, while spaced’ focus is international in scope, taking artists to remote, regional and overseas locations across vast distances, Know Thy Neighbour concentrates on a small and very localised urban microcosm. Moving beyond inner-city Perth, Know Thy Neighbour #2 invites nine West Australian artists to develop and present projects in response to their own neighbourhoods including metropolitan sites in the north, south and east. Know Thy Neighbour #2 will explore the form, function and community of Perth’s diverse residential sprawl. Responding to their own locales in new and unexpected ways, the participating artists will present a series of public interventions, actions and events across 2018 and into 2019, engaging, testing and challenging our public spaces, streetscapes and infrastructure. Know Thy Neighbour #1 was a pilot series of Perth-based temporary context responsive art projects presented throughout 2015 – 2017. The program brought together West Australian artists, Janet Carter and Elizabeth Pedler, Simone Johnston and Tanya Lee (the ST Team), Loren Kronemyer and Mike Bianco, Dan McCabe and Perdita Phillips, who were each commissioned to create new projects that involved and engaged a variety of micro-communities in the suburbs surrounding metropolitan Perth. 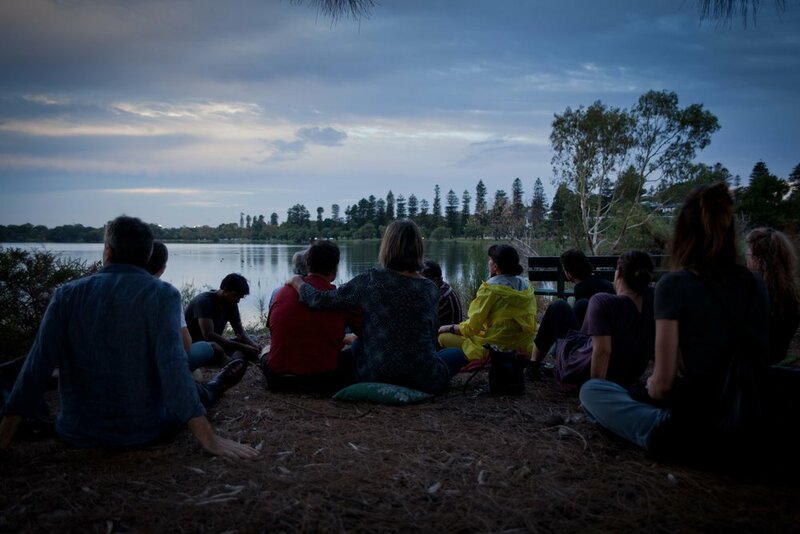 Taking the diverse social make-up of Perth as a starting point, artists employed interventionist strategies and collaborative measures to stimulate conversations around shared issues, reveal hidden communities, explore urban living systems and create new forms of social interaction. The outcomes of each project were presented in public locations across Perth.